Dual Redundancy: Emmys 2014: Filling Out the Emmy Ballot - Who & What Should Be Nominated? Emmys 2014: Filling Out the Emmy Ballot - Who & What Should Be Nominated? The deadline to submit ballots for the 2014 Emmy Awards is Friday, June 20th. For any Academy members still on the fence over what names to write down, here's a run-down of TV's best and brightest talent from the last season of TV, complete with some liner notes on why some picks were made and who/what just missed the cut. All of these shows wowed with their writing, directing and acting this year. But the Top 6 all had a sense of urgency about them, a boldness that demands their place in the sun. Masters and Mad Men and Boardwalk were all subtly stellar, but with so many quality contenders in play, that's not enough for a nomination. Please, please, please, let this be the year Modern Family is usurped. Everything in slots 1-5 broke new comedic ground. Enlisted gets the last spot because it was genuinely fun and funny and maybe some Emmy love could bring it back somewhere. This was a pretty easy category to narrow down, as these gentlemen are leagues and bounds ahead of anybody else on TV (or, realistically, film) today. The toughest omission was Hannibal's Hugh Dancy, whose character's half-season stint in jail limited his screen time. Kerry Washington's baby bump really hampered her performance this season and allowed Robin Wright to sneak in, as the latter's monologue about a terminated pregnancy was the season's most gripping sequence. Caplan balanced vulnerability and strength with grace. Russell played nearly as many characters as Maslany this season and will probably get half the credit. Moss still managed to charm while Peggy got nastier, up until her cathartic, triumphant Burger Chef pitch. And Marguiles is just plain outstanding. This category needs a drastic upheaval from last year. Keep C.K., because he's essentially the second-coming, and add these other hysterical, lovable, charming guys. Akerman balanced being quirky and straight in this role perfectly, perhaps alienating viewers who were accustomed to one extreme or the other. Dunham is finally fully comfortable making the rest of us uncomfortable. JLD is an MVP and will probably walk away with her third straight trophy. Metcalf channeled Steve Carell's Michael Scott in a thankless role on an outlier program, but damn if she wasn't great. Poehler is coasting on goodwill but still finds ways to draw humor from the Pawnee stone. Schilling's hilarity is understated but potent, if that makes any sense, and she belongs here waayyy more than she does in Drama Actress. Charles Dance (Game of Thrones' Tywin Lannister) was painfully omitted from the lineup because he just didn't have enough to do. Everything he did do, however, was marvelous. He nearly bumped Jeff Perry, whose show is far from perfect but holds things together with his signature brand of arrogance. Jeffrey Wright was also on the fence (along with his co-star Michael K. Williams) but left a huge impact after all these months that his exclusion would be unforgivable. Josh Charles may have left The Good Wife, but don't forget the vehemence he closed the role out with in episodes like "Hitting the Fan." The Breaking boys did fine work and should be lauded eternally. And Peter Dinklage roared back into the awards conversation with his monologue at Tyrion's trial. Should his character really be offed Sunday night, this could be his last chance to win in this role. Sophie Turner had the GoT slot locked up until Williams' literal death glare in the season 4 finale really showed off her chops. Bellamy Young's drunk monologues are the highlight of Scandal. Gretchen Mol made incestuous, murderous, drug-addled Gillian Darmody a likable character by the end of season 4. Christine Baranski handled her show's change of tone admirably. Monica Potter kept the tears flowing. And Anna Gunn just destroyed her competition. Pratt has been so great for so long, his absence in the first half of this Parks season left the show worse off. Simons is a lightning rod of nasty jokes, taking a beating so the show can rise above. Young's show may be dead but his performance was so alive and fun that it must be remembered. Driver normalized Adam this year and turned out even stronger performances. Armisen was just uproariously funny in every sketch. On the other hand, Castillo wasn't even the slightest bit funny, but he brought an honesty to his role that made Richie lovable. The two OITNB ladies act their butts off in both comedic and dramatic moments. The two sketch comedy ladies constantly reveal new layers of humor behind their beautiful exteriors. Watkins, an SNL alum, brought the goofy to network comedy, and Chlumsky brought the venom. All these women are equal parts talented and hilarious. Davies won for Justified two years ago and, frankly, could have won again for his reappearance this year, but why not spread the love to an under-appreciated Emmy newcomer? Same goes for Pitt's diabolical Mason Verger. Hamlin played diabolical in a much smarmier way, shedding all stigmas associated with his early roles. Morse is the favorite here, a splendid performer on a chaotic Mad Men season. Romano has quickly ascended the ranks of beloved Parenthood characters, and if Jason Ritter could get a nomination for playing one of Sarah (Lauren Graham)'s beaus, why not Ray? And Joe Morton's role is a Shakespearean POWER. HOUSE. of epic proportions. For as macabre and "bromantic" as Hannibal inherently is, Bryan Fuller casted some fabulous actresses in several meaty roles. Preston's character won last year and is strong enough to be spun-off into a companion series. Martindale is consistently great, though those who only know her from The Millers may be surprised. And Allison Janney's portrayal of an unsatisfied woman's journey to self-acceptance was a marvel to witness. Hurwitz isn't even an actor and he out-shone every other guy here. Banks did more subtle work but fine work nonetheless. Buscemi's celery salesman was classic wonky Buscemi that just fit together nicely. Merchant's memorable turn as an over-eager hotel employee helped make "Las Vegas" Modern Family's best episode in years. Cole and Schreiber were arguably supporting actors in their respective seasons, but since they're eligible here, they absolute need inclusion. More OITNB love, as its ensemble is TV's current best. LuPone parodied herself perfectly. Hoffman let everything go on screen. And Sarah Baker's "So Did The Fat Lady" monologue was such a watercooler moment of this TV season, an Emmy snub would be an egregious slight. Skyler choosing between phone and knife. Walt's last stand. Brody's devastating end. Bert's fantastical goodbye. Rust's 6-minute descent into madness. Wow. Troy falling back into the lava. Hannah with her acceptance letter. The farcical comings and goings in the Las Vegas hotel. The Christmas pageant (and the battle in the prison yard). Everyone's reactions to Selina's change of status. Double wow. Where's "Hitting the Fan" for The Good Wife? That's a much stronger episode of TV than "The Last Call", which is an extremely strong episode of TV. Everything here is great, but that was a home-run, even against Breaking Bad. Perhaps Jared's reveal and Don and Peggy's dance are enough to knock down the meth kingpins. Most of these deal with relationships. The study group's relationship to their dead friend and to each other in his absence. Old friends realizing their lives are changing. New relationships budding. Old relationships dying. And isolation from all relationships and the effect that has on someone. All these shows handle character consistently well, these are just the best exampled. Who are you hoping gets nominated this year? Sound off in the comments or give me a ring on Twitter, @miketvladue. 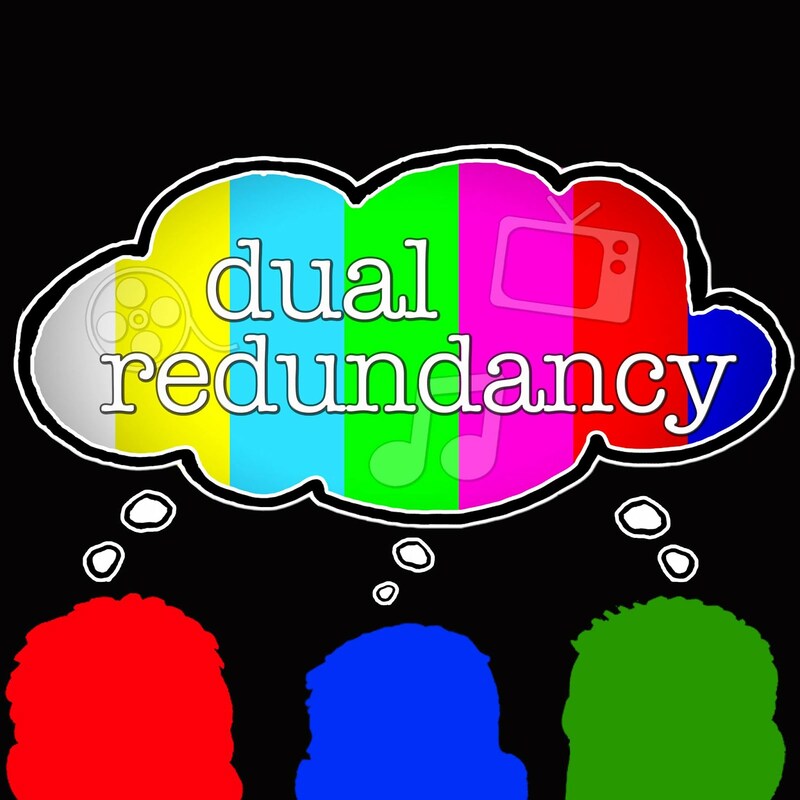 And be sure to check back at Dual Redundancy for all your Emmy awards coverage!